Scholar and translator Oliver Ready explains the methods he used to tackle a book as challenging as 'Crime and Punishment'. What unites Cervantes’s “Don Quixote” and Dostoevsky’s “Crime and Punishment”? Both are centered on the perception of reality through literature. As translator Oliver Ready argues, Raskolnikov, the anti-hero of “Crime and Punishment,” is most at home in the world of words, whether books, newspapers or letters from acquaintances and relatives that he analyses like a literary critic or a detective. He is not just a student and a murderer – he is a reader and a writer, whose literary debut, an article about crime, is one of the great missing clues in the novel. The very fact that Raskolnikov is a man of letters is what makes it so important to get as close to the original as a translation allows. Out this year in Penguin Classics, Oliver Ready’s new translation of Dostoevsky’s “Crime and Punishment” aims to preserve the original's troubled and polyphonic narrative, and the varying language and vocabulary of its different characters. 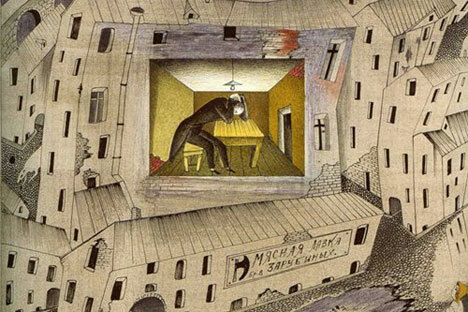 Several earlier translations tended to smooth over Dostoevsky’s stylistic peculiarities, robbing the novel of the unique, jagged tone and nervous repetitions that best represent Raskolnikov’s anxious state. Ready sought to preserve these lexical peculiarities of Dostoevsky’s language in his own work, while also trying to maintain the novel’s hypnotic and compelling power. In doing so, he inevitably stumbled on some unique features of Russian that are very hard to reproduce in English. Completed in 1866, “Crime and Punishment” immediately received great acclaim from readers and critics. Its first partial translation (into French) appeared the same year, and by the end of the 19th century, the novel had been translated into German, Polish, Italian and some other European languages. The novel’s impact on world literature was noticeable through the whole 20th century, and it is still relevant today. “The preoccupations with the inauthenticity and virtuality of his own existence that bedevil Raskolnikov are now shared by many young people across the world,” Ready comments.